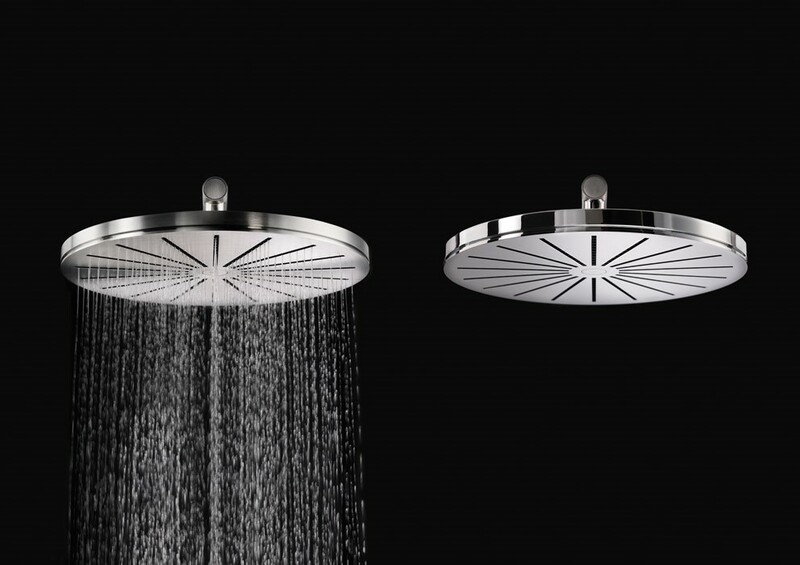 As early as the 1960s architect and designer Arne Jacobsen recognized that the bathroom can be so much more than just a functional wet room. It is sometimes, he noted, a place of relaxation, where rituals promise to regenerate the soul. 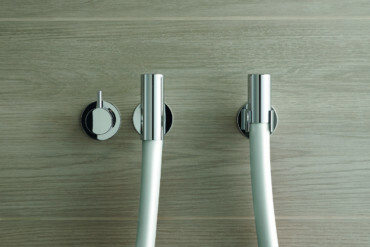 As such, the bathroom requires an aesthetic design just like a living room or bedroom, declared Jacobsen, and in 1968 designed for Vola a wall-mounted mixer in which he made sure he carefully concealed all the mechanical parts so that only the handle and outlets were visible. This approach was novel at the time and contributed to the transformation of the simple bathroom into sanctuary of wellbeing where not technology, but people are the center of attention. 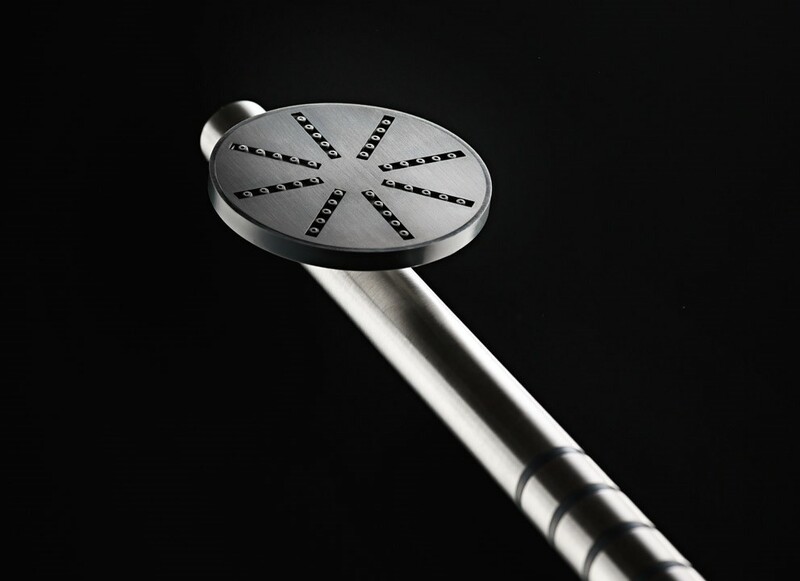 Like Jacobsen, Danish architect Torben Madsen of Aarhus Arkitekterne A/S is also of the opinion that technical details should remain hidden in the design of fittings. 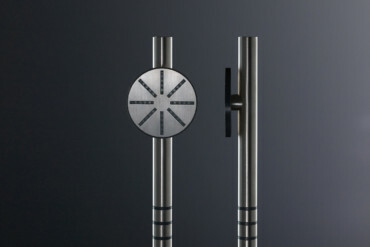 Yet whereas in Jacobsen’s day it was simply mechanical functions, today we also have digital technology that “needs” to be integrated into the design. 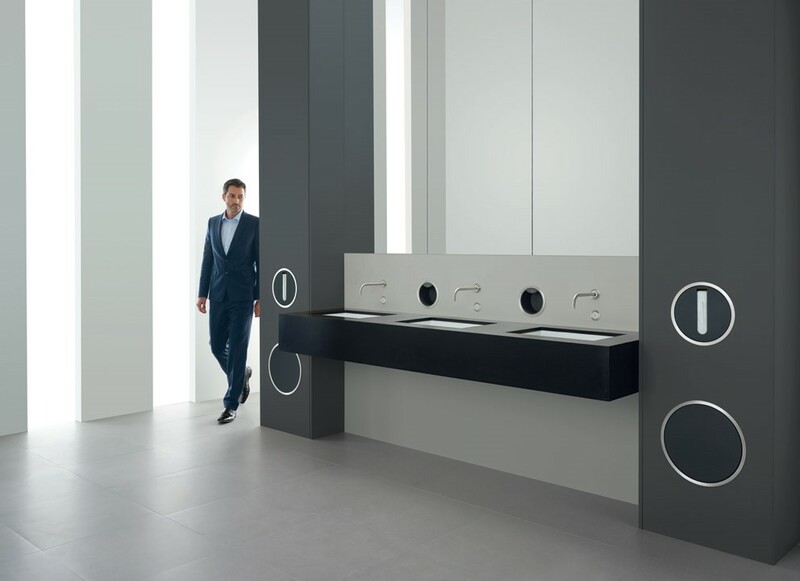 Madsen demonstrates how to do just that in his design of the “Round Series” for Danish manufacturer Vola. To date the collection encompasses a waste container, a paper towel dispenser, a hand shower, a head shower and a touch-free soap dispenser. All products in the series are designed for in-wall installation, meaning that all the technical elements are integrated into the wall. 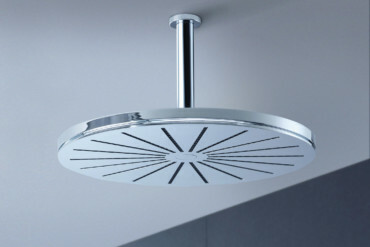 As such the outer ring of brushed stainless steel, which is almost flush with the wall, becomes a striking design feature of the elegant series. The soap dispenser is simple to use: When you hold your hand inside the ring an electronic motion sensor is activated and dispenses, thanks to a total of four dosage options that can be preset, a precise amount of soap. Ergo, the user does not touch a single surface. This is particularly favorable in public toilets, where hygiene requirements are higher than in the private sphere. 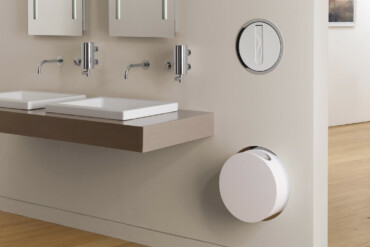 With its purist, geometric forms and clear lines the design of the Round Series is timeless – a conscious decision on the part of the manufacturer, for ideally the bathroom still needs to look aesthetically appealing in 10 or 20 years’ time.